Samsung tried to operate its own music streaming service once. Remember Milk Music? Samsung would prefer that you didn’t. It has a new music partner today. The next time you set up a Samsung, you’re probably going to run into the Spotify app. That’s just the first hint of the integration that will be pervasive across Samsung’s products. Setting up a Samsung phone will include the option to install Spotify and either log in or create an account. 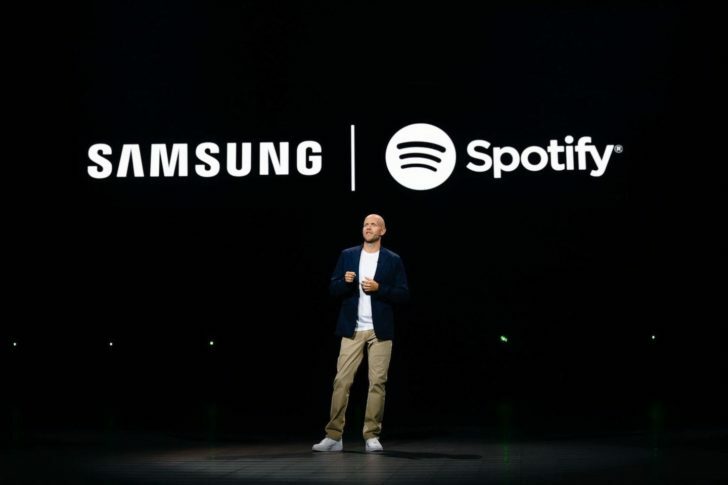 Samsung’s smart TVs will also connect to Spotify through the SmartThings app. Samsung demoed one implementation of this integration at today’s Unpacked event. When you return home, your Samsung phone can offer to transfer your Spotify stream to other devices like your TV or Samsung Home. Spotify music will also become part of the Bixby experience. If you ask Bixby to play music, it will try to do so in Spotify. If you don’t have an account, Bixby can still search and create playlists. You will, however, need a premium Spotify subscription for the full suite of features. Bixby will certainly push people in that direction, though. Spotify and Samsung suggest more features will come later, but you should start seeing the integration soon.